About the artist - Carousel of Light Inc.
Lance Shinkle was born and grew up in Ontario, Calif. He was always drawn to the arts and can remember drawing, painting and ice skating as a boy. Lance moved to Falmouth when he was 28 and taught ice skating lessons on Martha’s Vineyard and at the Falmouth Ice Rink in its old location on Palmer Avenue. While living in Falmouth, Lance and Jeanne Fredericks, a beautiful dancer and figure skater from Falmouth, fell in love and decided to move to California to be married. In the following years the couple traveled to Japan and China to skate professionally. They moved back to Falmouth in 1980 to settle down and raise a family. Lance opened a sign shop next to the Falmouth Ice Rink on Palmer Ave and named it Shinkle Signs. Lance ran Shinkle Signs as a local business owner in Falmouth for over 20 years. Some of his signs still seen today include Falmouth Fish Market, Ben and Bill’s Chocolate Emporium, Betsy’s Diner, and Liam Maguire’s Irish Pub. Samples of his stone carvings can be seen to mark the Falmouth Ice Rink and delineate the paths in Beebe Woods. In the dining room at Betsy’s Diner, an animated mural painted by Lance captures the hustle and bustle of the local diner. Lance’s sculptural wood figures of a little boy sharing his ice cream cone with his beloved dog welcome patrons to Candy Go Nuts in Woods Hole. As an artist Lance has commissioned sculpture and painting works including life-sized mermaids, figure-heads and oil paintings capturing the character and nuance of the Cape for many private residences. Lance has always been drawn to the romanticism and innocence of carousels. In 1988 he began to embark on a new project as a tribute to his brother-in-law and close friend who died of cancer. His carousel concept was developed as a mechanism to raise money for cancer research. The project got underway with a children’s book he wrote, illustrated and gave to his daughter, Chelsea. It was titled “Jingle Bell.” The first of many horses was carved, and with dedication and over many years, Lance created the carousel. The hand-carved horses and nautical characters on Lance’s opus named the Carousel of Light are a culmination of his love and study of varied artistic interests, including skating, painting, sculpture and dance. His painted detailing adorns the horses’ trappings. The movement and choreography of ice skating and dance is seen as the horses act as one, putting on a rehearsed performance. Every horse Lance carved brought life to this cast of characters, once blocks of Eastern white pine. The true genius of his work is the joy this kinetic “art in motion” evokes. Lance’s works span over many mediums and take many forms. He was drawn to Cape Cod and still continues to be inspired by the community, unique light, boldness of color and beauty here. Lance is mainly a self-taught artist with no formal schooling but with countless influences. His plain-air painting style brings him outside to capture in oil paints the atmospheric conditions that produce varying light effects on objects. Depending on the time of day and environmental elements, he is challenged by capturing light on canvas. The sculptural drama and contrast of light and dark in his paintings has developed from his past sculptural works of art. Lance continues to study, practice and live as an artist in Falmouth. 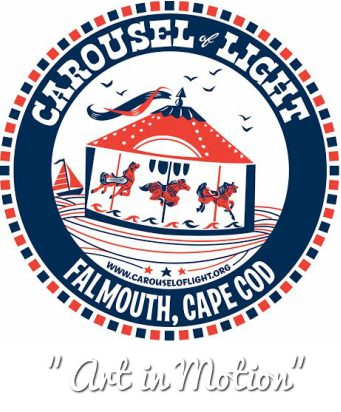 Currently he is an oil painter and has agreed to donate his carousel to Carousel of Light Inc.
His artwork continues to be influenced by the beauty and community of Falmouth and Cape Cod.